A new peer-reviewed study of air quality data in North Texas shows that shale development does not result in harmful levels of air emissions. The analysis provides more evidence that natural gas drilling in the Barnett Shale region is protective of public health, confirming what many other previous studies have shown. This corroborates what a number of previous reports have concluded. For example, a peer-reviewed study of Barnett Shale development from last summer concluded that “shale gas production activities have not resulted in community-wide exposures to … VOCs at levels that would pose a health concern.” Another analysis, released earlier this year, focused on fracking operations in the City of Mansfield, and it also concluded that VOC levels did not exceed public health thresholds. In 2011, a major study conducted for the City of Fort Worth found no significant health risks from natural gas drilling activities in the city, which is home to approximately 2,000 gas wells. The study is a powerful rebuke to anti-fracking groups in North Texas, several of whom have conducted their own analyses and attempted to inflate the health risk of fracking. In one such report, conducted by the extreme anti-energy groups Earthworks and ShaleTest, the authors’ data showed that emissions were below applicable health thresholds. But the activists claimed that fracking was a threat to public health by comparing their short-term samples against long-term health values, suggesting that a short-term reading was indicative of years or even decades of sustained exposure. Earthworks attempted the same dubious stunt a year earlier in a report on Eagle Ford Shale development in South Texas. 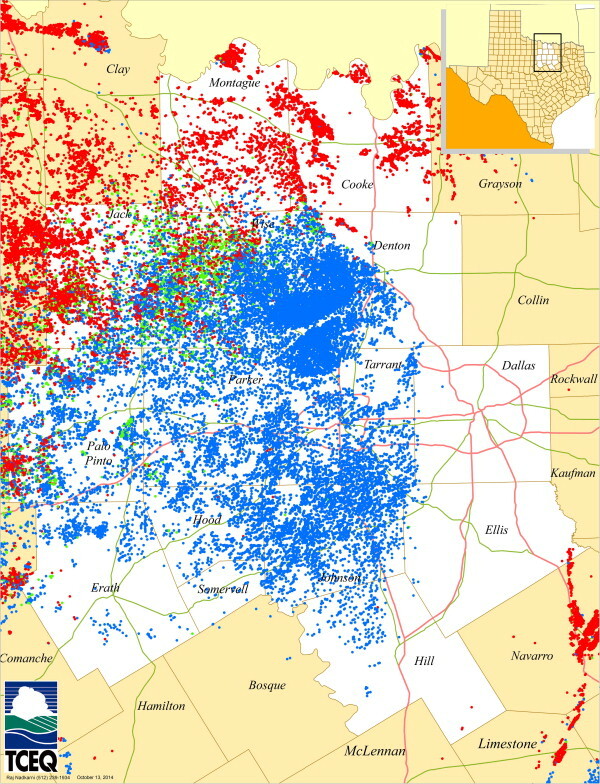 To prevent making a similar error, the TCEQ researchers “collected both short-term and long-term samples,” both in areas with and without natural gas development. The latter came partially from stations that operate 24 hours per day, which had compiled at least a year of monitoring data. The result was one of the most comprehensive analyses of air quality in the Barnett Shale. According to the report, the purpose was not only to provide data on air emissions, but also to explain how TCEQ – as the state agency in charge of regulating air quality – has been able to address air quality issues associated with shale gas development. “The goal of this manuscript is to describe the problem formulation process used by the TCEQ to characterize risks associated with air emissions from NGOs, and the subsequent risk management strategies implemented,” according to the authors.